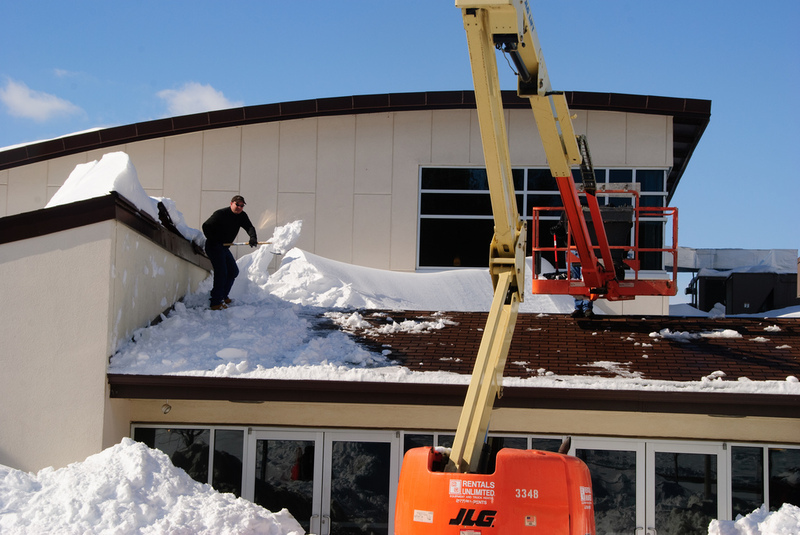 Often a fierce storm or thick snow deposit takes a toll on the most vital installation of your property; the roof. It is obvious to lose peace of mind, but there is no reason to panic. Allegiant roofing is at your service offering trustworthy emergency roof repair Dayton, OH. And yes, we do not take advantage of your situation and inflate costs. Allegiant roofing is managed by professionals and trusted by customers. We do what is best for you! When the unexpected happens and you need emergency roof repair service Dayton, OH, Allegiant Roofing is there to help. 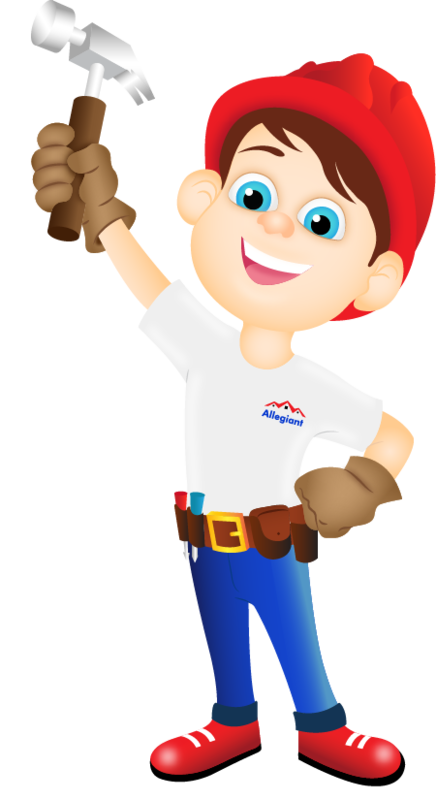 Our team of Haag Certified roof repair experts is just a phone call away, 24 hours a day. There are many reasons you may have a roofing emergency, but you can be assured that we can get your roof back to normal. Why Will I Need Emergency Roof Repair Dayton, OH? The most common reason for requiring emergency roof repair service Dayton, OH is damage due to a weather event. Strong wind speeds and hail can severely damage a roof, leaving it vulnerable to roof leaks. Wind not only tears off shingles but also causes tree branches to fall on your roof, as well as other unsecured objects. We can’t assess the damage until it is safe for us to climb on your roof. Hence, we use technology in the form of drones, etc. which helps us evaluate the damage. An Allegiant representative can provide a tarp to cover any openings and an estimate for emergency roof repair Dayton, OH. Animals generally cause roof damage over time, but when you notice it you have two emergencies: First, to get the animal out of your home and, second, to close the access opening. The extent of the damage varies depending upon the type of animal that caused the damage. Rodents generally don’t cause much structural damage, making the repair easier. Carpenter bees, termites and other wood-eating pests can cause significant structural damage that may lead to a roof replacement rather than roof repair. If your home suffers a fire, you will require more than just roof repair. We will assess the structural soundness of your roof and determine if we can place a tarp over your home. We also offer new siding, and when we provide you with an estimate for your roof repair, we’ll include a siding estimate if requested. Whatever be the emergency, Allegiant roofing is an expert at providing emergency roof repair Dayton, OH. Roof leaks are never planned, but when it happens to your home and you need it addressed right away, call Allegiant Roofing. We offer 24-hour emergency roof repair for both homes and businesses. Don’t wait – call (937) 907-0009 now!